Cassia County has several Deputies that are part of the S.W.A.T. (Special Weapons and Tactics) Team. The team consists of multiple entry officers and snipers. Our team has received numerous hours of outside agency training as well as ongoing inside agency training. The team's purpose is suspect apprehension and protection for the public in high risk situations. Cassia S.W.A.T. has trained in a variety of tactics and special weapons. The S.W.A.T. Team is used to serve high risk search warrants and arrest warrants. The team trains for response to active shooters, barricaded subjects, hostage rescue, officer rescue, and other high risk situations. 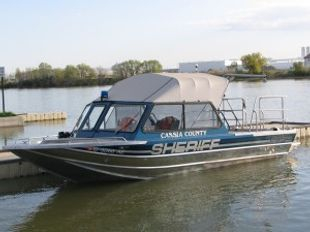 The Cassia County Sheriff's Office patrols and has jurisdiction over 73 navigable miles of water. This includes the Snake River, Lake Walcott, Oakley Reservoir, Lake Cleveland, Sublett Reservoir, and a few smaller lakes. We maintain a fleet of three boats for this purpose. We have a 22 foot Northwest Jet used for patrol and as a dive platform for rescue work. We also have a 19 foot Riddle Jet used as a patrol boat. Our third boat is a 10 foot rigid hull inflatable SeaDoo used for patrol and also rescue work. 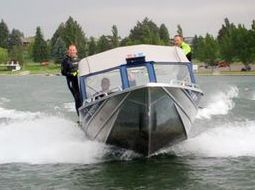 Cassia County has seven certified marine deputies that work on their off time to ensure the safety and education of the boating public by enforcing the federal and Idaho boating laws. 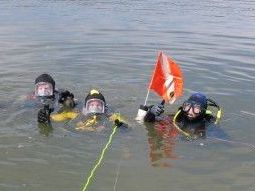 The Cassia County Dive Rescue Team is unique, yet common to Dive Rescue Teams. It is common because it is a voluntary unit, open to the deputies and the local Search and Rescue Unit. Unique, in that their Team leader and Dive master, Lt.. Kevin Horak, takes their training beyond a sports divers' world and places them into the Public Safety Diving realm. The fun stops here and serious professionalism begins. Continued training and upgrading equipment is an ongoing process that keeps this team on the cutting edge. We also respond anywhere in the state of Idaho to assist other agencies as requested. The dive team has a support trailer with the dive equipment needed to quickly respond to any given situation. Our dive trailer has a dive tank compressor so we can do extended searches in remote areas. The Cassia County Sheriff's Department has 2 Rockhopper Specialized Mt. Bikes used for bike patrol. Sheriff's Deputies patrol the city of Burley on the bikes allowing them to stealthily patrol the streets. Deputies are able to sneak up on suspects without being easily detected. This is a great way to catch suspects in the act of committing a crime such as vehicle burglaries, drug and narcotic violations, prowlers, underage drinkers, etc. It is also great for public relations. Bike Patrol allows Deputies to get out of their patrol cars and talk with the public and deter crimes. The Cassia County Sheriff's Department has two snowmobiles for snowmobile patrol. Sheriff's Deputies patrol the mountain snowmobile areas and enforce state snowmobile laws.The main goal of our Deputies is to ensure a safe environment for the enjoyment of everyone. 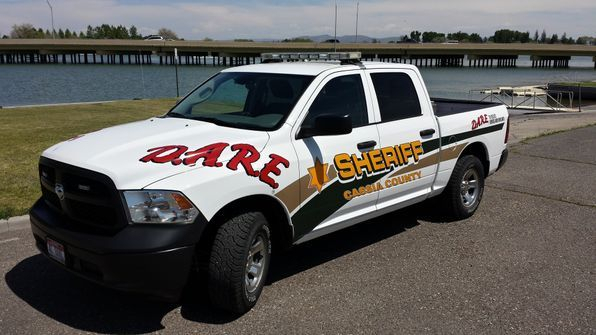 Cassia Deputies often work in conjunction with Twin Falls County Deputies in the <?xml:namespace prefix = st1 /><?xml:namespace prefix = st1 ns = "urn:schemas-microsoft-com:office:smarttags" />Magic Mountain area to better cover the area. In case of missing persons we also work closely with the Mini-Cassia Search and Rescue and the Mt. 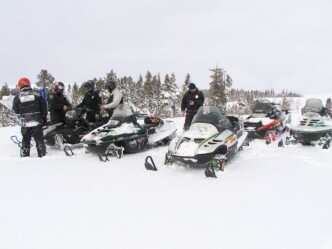 Harrison Snowmobile Club to ensure all people in our response area are found as quickly as possible. By working with other agencies we have expanded our resources to better serve the community. The Cassia County Sheriff's Department covers approximately 750 square miles of Mountain Terrain. The Cassia County Criminal Interdiction Team does emphasis patrols looking for and deterring crime. Deputies will go out on an emphasis patrol focusing on certain crimes. Deputies rely on traffic stops, citizen contacts, suspect contacts, specialized training etc... to do the emphasis patrols. Our main goal on these patrols is to deter, catch, or eradicate criminal activity. The Cassia County Reserve Program is made up of 12 Reserves when at full staff. The reserve program consists of Level 1 Deputies who are certified and able to work on their own, and Level 2 Reserves who assist full time Deputies with their assignments. Being a reserve enables a person to be part of the exciting world of Law Enforcement while maintaining their full time job. Reserve Deputies are volunteer, yet they are required to put in a minimum of 120 hours a year along with the mandatory yearly training. 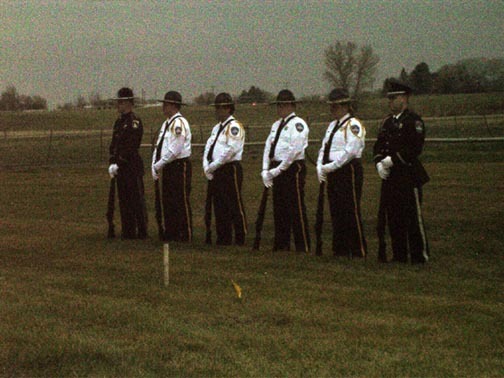 The Cassia County Honor Guard Team consists of five Deputies. The team does special detail for Color Guard at parades and special events. The Honor Guard also does funeral detail for fallen officers. D.A.R.E is a program taught in the schools to help properly educate young children about drugs and make proper healthy choices in the future.